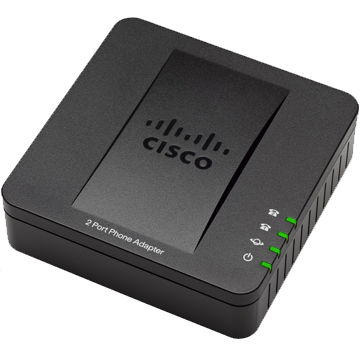 The Cisco SPA 112 2 Port Adapter enables high-quality VoIP service with a comprehensive feature set through a broadband internet connection. Easy to install and use, it works over an IP network to connect analogue phones and fax machines to a VoIP service provider and provides support for additional LAN connections. This is a great solution for small businesses and home workers that are wanting to switch to VoIP without having to replace their analogue phones - keeping their switch over costs down.